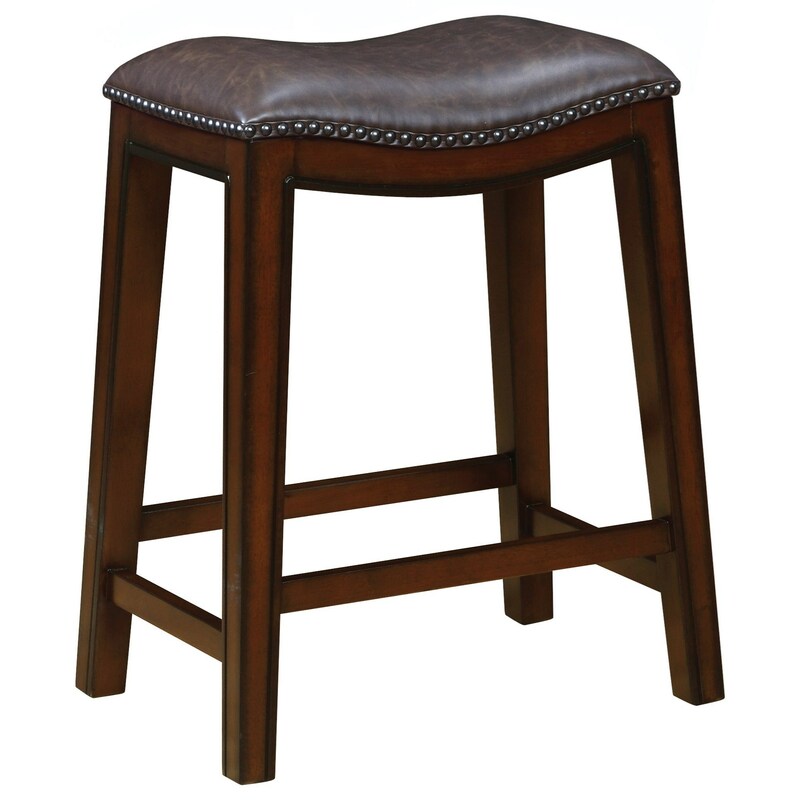 This upholstered counter height stool is perfect to tuck under the bar when not in use. Armless and backless, the stool has a curved, cushioned seat accented with brass nailhead trim. The burnished cappuccino legs are slightly splayed and have stretchers for a convenient place to rest feet. The Dining Chairs and Bar Stools Backless Counter Height Stool with Nailhead Accents by Coaster at Miskelly Furniture in the Jackson, Pearl, Madison, Ridgeland, Flowood Mississippi area. Product availability may vary. Contact us for the most current availability on this product.